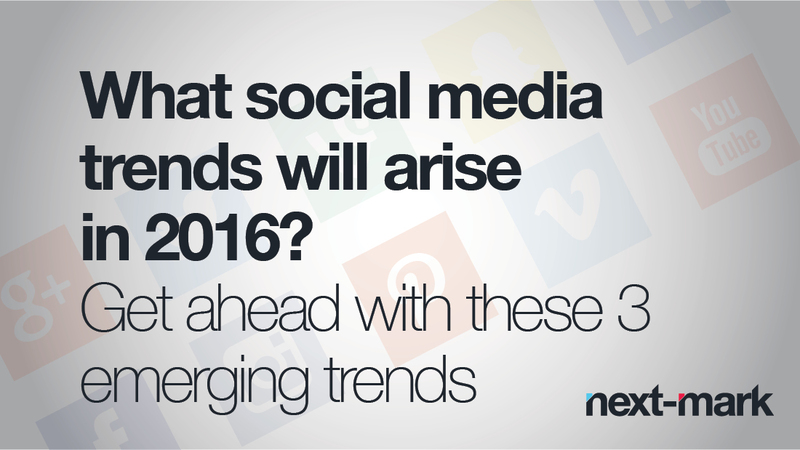 Last year around this time, I wrote a blog about emerging social media trends that were taking shape in the latter half of 2014. We have all been witness to how quickly the digital marketing landscape can change and evolve, especially social media marketing. New players are continuously entering the market, and brands have to find new and innovative ways to get their messages across. As Western-based social sites such as Pinterest are making the jump to on-site direct sales, they still seem to be playing catch up to Asian sites. Popular sites in Asia such as Shopline dominate the Chinese e-commerce market, and social media plays a significant role in their sales. Additionally, Chinese apps have already integrated social media with e-commerce, which has made online retail and digital wallet use a large part of the Chinese shopping experience. We can already see that the US and other Western countries are quickly following suit. Some sites are already equipped with the “buy it” button, but as more apps develop mobile payment services—Snapchat has already done it— the digital wallet will come to be the next big thing in the US. Internet marketing experts claim that social selling will increase by over 50 percent by the end of 2016. Thus, expect continued integration between social networks and online retail in the coming year. Vlogging (video blogging) has already gained quite a large amount of traction in the US and is poised to take this trend to the next level. Vloggers and micro-vloggers own the world of YouTube and other online platforms. Self-broadcasting is a way to feel a close (if fleeting) connection with both acquaintances and strangers despite the distance. At the same time, more and more brands are realizing the benefits of social videos. Snapchat, Vine, Instavid and other platforms have made it easy for companies to display products and services through audio and visual storytelling. Expect this trend to grow in popularity next year. Pinterest’s focus on goods separates it from others in the social media pack. Other platforms target job seekers and networkers, connect friends, get news or even listen to music. The audience is predominantly women in their 30s with young families — a group that does the majority of the shopping. They find information on a multitude of products and services for their families on the website. The appeal lies in the fact that the site rolls the “search function” of shopping and the “social function” of sharing into one package. Research reveals that there are 47 million users on Pinterest and the audience is expected to grow. In fact, Pinterest has become the fastest growing social network, surpassing Instagram. In the last six months of 2014, active users increased by 111%, and members increased by 57%. Even though it is still maturing when it comes to advertising, some experts speculate it may one day drive more sales than Facebook. If your business is image-centric — i.e., food, fashion or home décor — then you should definitely consider having a presence on Pinterest. Have you thought about how any of these trends will fit into your overall marketing picture? Perhaps you are already using Pinterest to increase sales or are seeing the fruits of a well designed website. As with any discipline, it pays to stay on top of things and grow accordingly!